Gateway Church, a Grace Brethren church in Parkesburg, Pa., opened it’s doors Friday evening for a candlelight vigil to provide support and healing for a community that is reeling from two tragic incidents this week. Here are several news reports from the event. A portion of a story from myfoxphilly.com appears below. Click here to read the complete article. A portion of a story from ABC-6 WPVI, Philadelphia, along with a news clips, also appears below. Click here to read that complete story and view the clip. In Chester County Friday there was an outpouring of support for a toddler that was tortured and killed, earlier this week. Police say the beating came at the hands of his own mother, and her boyfriend. 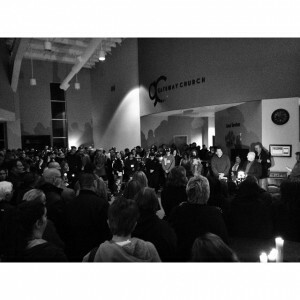 Dave Kinchen was at Friday’s candlelight vigil, along with hundreds! Candles provided light in a community that has seen so much darkness in recent days. “When light penetrates the darkness, it always illuminates it and I just think we need to be a stronger community together,” said Pastor Dave O’Deens. 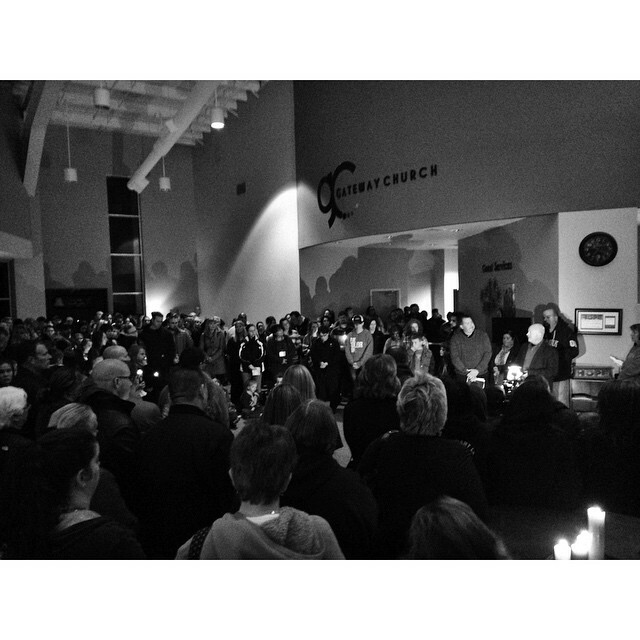 Hundreds gathered at Gateway church in Parkesburg Chester County, remembering two victims of domestic violence. There is pure devastation after adorable 3-year-old Scotty McMillan was tortured and killed allegedly by his mother’s boyfriend. “My step mom works at the hospital so she told me head on how it was. And it’s horrible it really is,” said one woman who came to mourn. Hearts were also broken for Jacinda Miller, a popular fitness instructor gunned down at the Brandywine YMCA by her estranged boyfriend in a murder suicide earlier this week. A vigil was held for the 3-year-old boy who was beaten to death in Chester County. The gruesome details of his murder have shocked people in the town where he lived and beyond. Thousands of people lit candles Friday night to honor 3-year-old Scotty McMillan, who was savagely tortured and killed allegedly at the hands of his mother and her boyfriend. According to the memorial Facebook page, more than 19,000 people planned to light candles. Click here to read that complete story and view the clip.